Almost a quarter century ago, I worked as intern, in my last year of journalism school, at the Baltimore Sun. This was a rough few months for me — I earned nothing for five-days-a-week in the paper’s features department, the city was experiencing a crime wave right up to the edge of my neighborhood, and I was breaking up with a pretty serious girlfriend during just about that entire term. But I have fond memories of most of the writers and editors I worked with there — all but one were really supportive, friendly, and taught me a great deal about the craft. The Sun had a reasonably new team at the helm and was becoming a stronger, more ambitious paper. 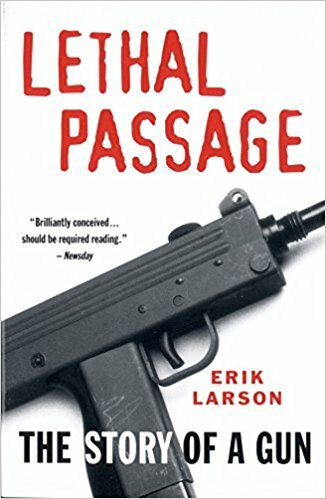 Among the stories I enjoyed reporting and writing the most was a piece on author Erik Larson, who later became known for bestselling nonfiction novels (The Devil in the White City) but who at the time had a book called Lethal Passage. This was a straight — and brilliantly executed — journalistic account of a single handgun from Virginia, and the journey it took before being used in a mass shooting: One of those “behind the headlines”/ “beyond the statistics” accounts that operates through depth and nuance. The book was in some ways a cautionary tale about handguns in America but not really a piece of polemic. 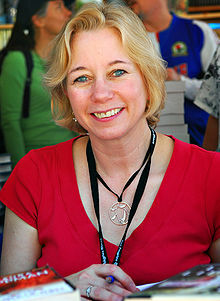 My story was mostly about Larson (a Seattle resident spending a few months in Baltimore because of his wife’s term at Johns Hopkins, I think), but because his book concerned a contentious issue, journalistic standards of balance required I get a comment from what we call a “gun rights advocate” to counter Larson’s point of view. I found some NRA-approved guy who had not read the book to explain why liberals like Larson are always wrong and a danger to the republic. I don’t recall discussing my story with Rob Hiaasen, a Sun reporter who sat almost next to me and was a consistently cheerful, encouraging figure in my life then, full of reporting tips and friendly witticisms to help me and the rest of the staff get through the day. But what if when I was reporting and writing that story, I had known the the nation’s lax gun laws — and whatever other foul stew of press-hatred, political toxins, and so on — would mean that Rob would be gunned down 24 years later? Would the issue have seemed different to me then? During the collapse of the Sun — thanks to Tribune Corps and Sam Zell — Rob had moved to the Annapolis Capital to become one of the main editors there. That little, generally modest paper was the reason I grew up in Maryland: My father, mother and I had driven across the country in 1970 from Palo Alto, CA, where my father had earned a journalism master’s, to take his first newspaper job. He worked there a few years, but we stayed in and around Annapolis for my entire childhood; before and after college elsewhere I worked at nearly every bar on the docks there. Last week, an angry, press-hating man, enraged by the paper’s coverage of his harassment of a woman, broke into the Capital newsroom and killed Rob and four others. All of these are tragedies, but for everyone who knew Rob — someone it’s simply impossible to imagine anyone not liking — it’s inconceivable. I’m too appalled and emotionally exhausted by the whole thing to say any more, but someone who knew Rob far better than I did, Laura Lippman, has written a deep and resonant piece on him. Laura came into the features department almost exactly when I was leaving to take my first job. We have a few things in common — we are both the offspring of veteran Sun journalists, we’re both goyim with Jewish names, and my memory is that she is a fellow admirer of jazz trumpeter Chet Baker. Unlike me, she is a brilliant/ bestselling mystery novelist. In any case, here is her New York Times piece on Rob. RIP to a fine writer and truly great guy. This brings the whole gun argument home for me. When I subtitled my book “The Killing of the Creative Class” I did not mean it literally, but these are the times we live in. You are blaming “the nation’s lax gun laws” for the shotgun murder of the journo? The only law that would have prevented it would essentially be total disarmament of citizenry. That’s why you and yours are such a dangerous puzzlement to me and my neighbors who would never use our guns except for defense. I’m certain there are many good, honest people who intend to use guns only in self-defense. The record also shows that every year, something like 800 Americans kill someone else — often a family member — by accident. A bit more than 19,000 Americans kill themselves with guns each year. And about 11,000, per year, kill someone else in a homocide. Do any of those 32,000 deaths originate from well-intentioned people who keep their guns only for sport or defense? I don’t know. But the real puzzlement is that every affluent democracy in the world has managed to control the problem but us.